Welshpool & Llanfair Light Railway No.2 "The Countess" is about to depart from Castle Caereinion station with the 15:20 train for Llanfair Caereinion on the rather dull afternoon of Saturday 24th August 1963. 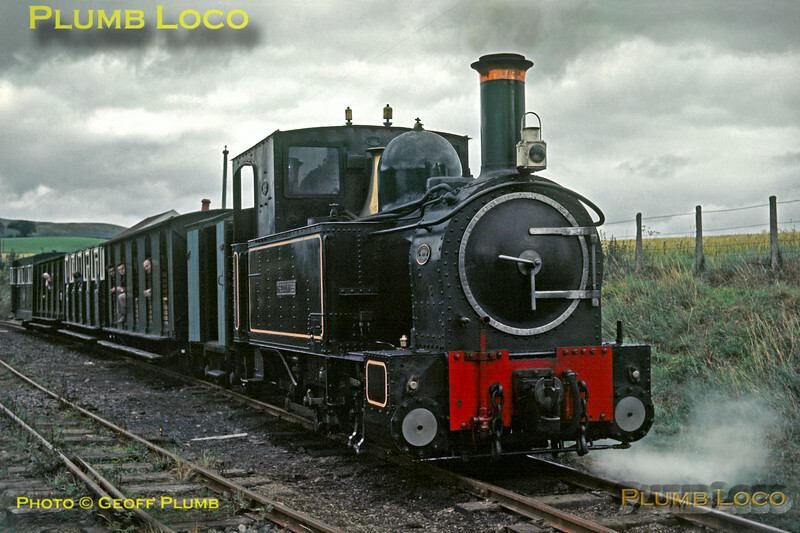 The engine is one of two 2' 6" gauge 0-6-0Ts built by Beyer, Peacock in 1902, works number 3497. Slide No. 259.